Walker County Commissioners will meet for a Special Session this afternoon at 1:30 at the courthouse. 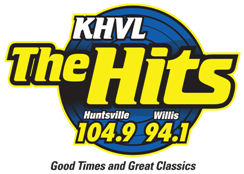 County Information Technology director Dan Early will discuss possible action on a Memorandum of Understanding between Walker County and the City of Huntsville regarding an antenna tower located at 705 FM 2821 in Huntsville with an effective date retroactive to September 18, 2018. Planning and Development Director Andy Isbell will talk about possible action on a Variance Request from Rebecca Konvicka to On-site Sewage Facility Regulations of Walker County. County Purchasing Agent Mike Williford will have a Purchasing Workshop to discuss road materials.